Captain Jason Domangue originally from Golden Meadow Louisiana, started working on charter boats at the age of 13 in Dauphin Island. 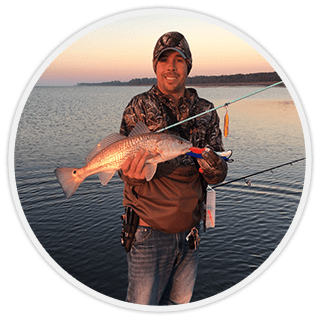 That spurred his passion for inshore and offshore fishing, with 20 + years fishing Alabama waters. He enjoys taking families and their kids fishing. When not guiding trips he enjoys fishing with his wife Rebecca and there dog Finn. If it has fins he loves to try and catch it!